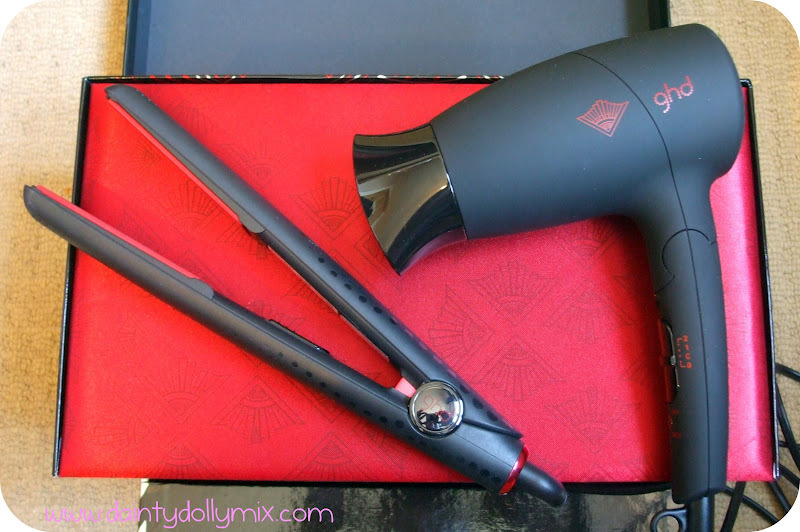 I have been testing out GHD's latest offering the Scarlet Collection Deluxe* for the past couple of weeks. 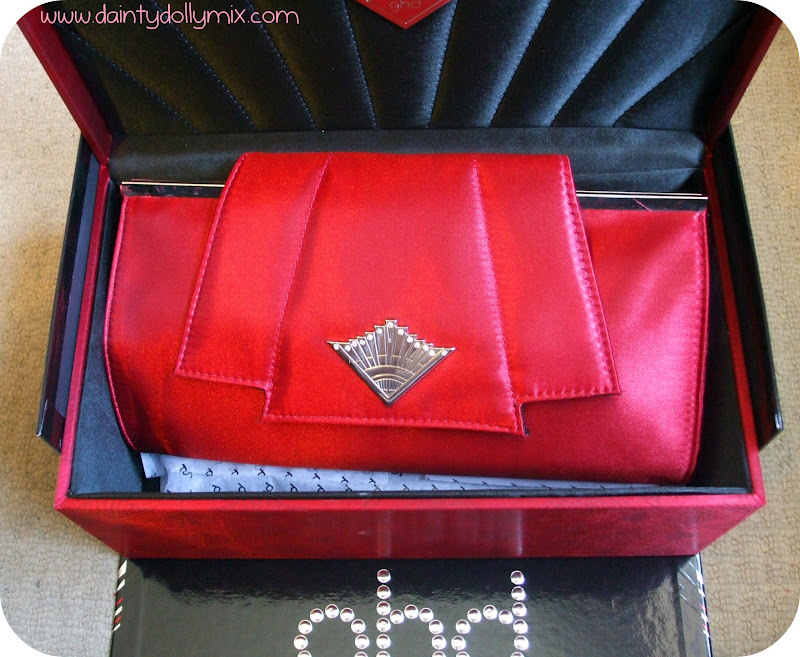 I have used GHDs since year 9 in high school as a present after completing my SATS tests, so for the past 10 years! Wow seems such a long time! I must admit, even though i have gone through a few pairs of these (I remember my brother standing on and breaking a couple!) and reviewed some others for the blog i have never fully strayed from GHD as no other straighteners seem to compare. The Scarlet Collection Deluxe is housed in a sturdy black, patent box and once open you are delighted with a red, velvet vanity chest. 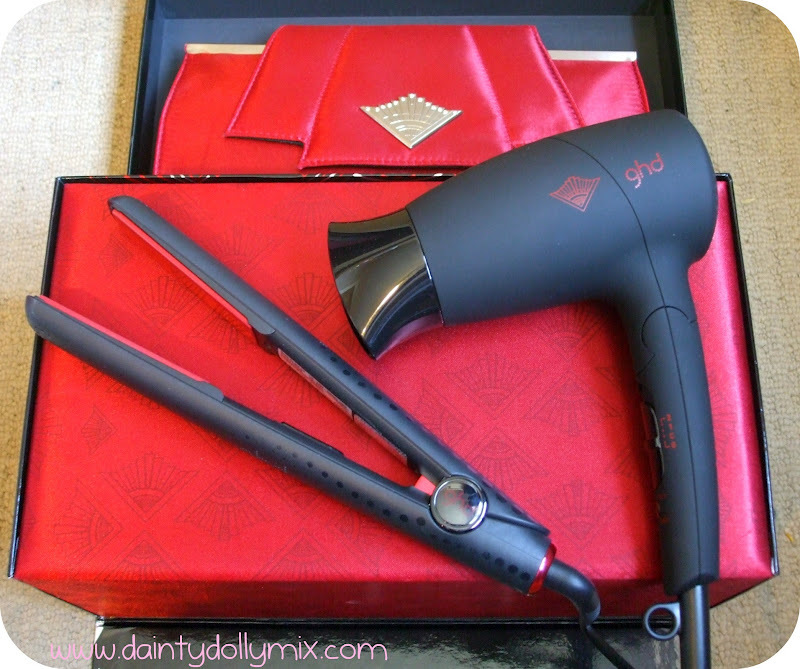 The straighteners themselves actually come in the same red velvet material styler bag that could also double as a clutch (which isnt personally suited to my tastes, but im sure some people will love it) and you even receive a mini hair dryer which i was thrilled about and sectioning cips. The GHDs are the GHD Gold Series Classic Styler that are matte black and as the name suggests they come with ceramic red plates and accents on both the straighteners and hair dryer. 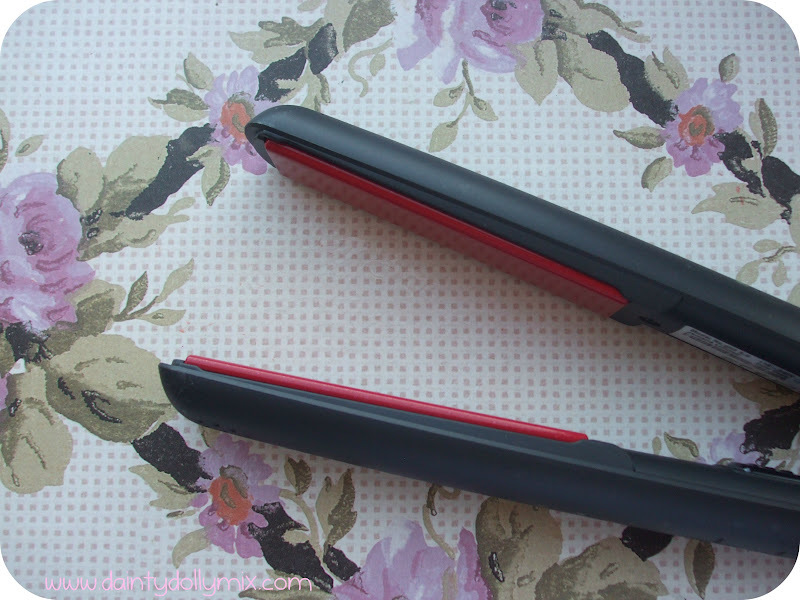 I currently own a pair of the wide plate GHDs so the slimmer plates were a wonderful change. The plates themselves had a high-gloss finish and glide through the hair without any pulls or tugging resulting in sleek, shiny hair. They are also much rounder so you can curl or wave hair aswell as straighten (something i am currently unable to do with my wide plate stylers). Another benefit is that they have a sleep mode so if left on or not used they will turn off after 30 minutes. They are so lightweight and easy to hold, heat up almost instantly (7 seconds i believe) and a just an absolute dream to use. 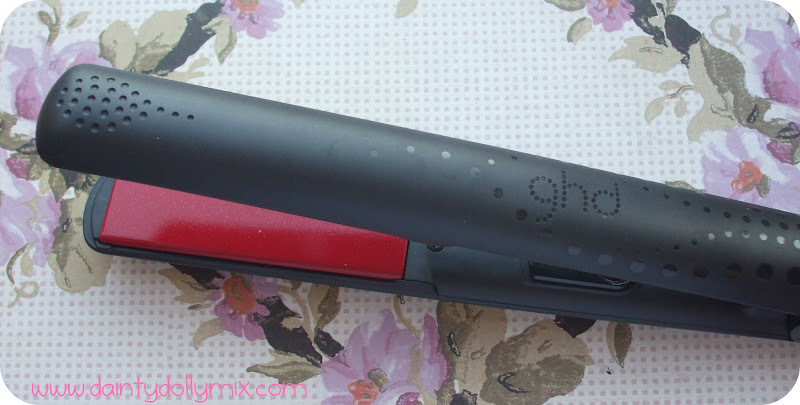 To turn on you flick the switch and a GHD light will flash until they are heated up. Once ready to use they will beep twice and the light will stay on. They also have a protective plate guard so you can store the styler closed. Another thing to note is that they have a universal plug which is good for those that travel often and perfect for myself when i go to America in the Summer. The hairdryer is small, with a handle that folds up so extremely travel friendly and has a detachable nozzle. It has 3 settings so you can either have it on cool, or 1or 2. Again, something else i will be taking on my jolly holidays! 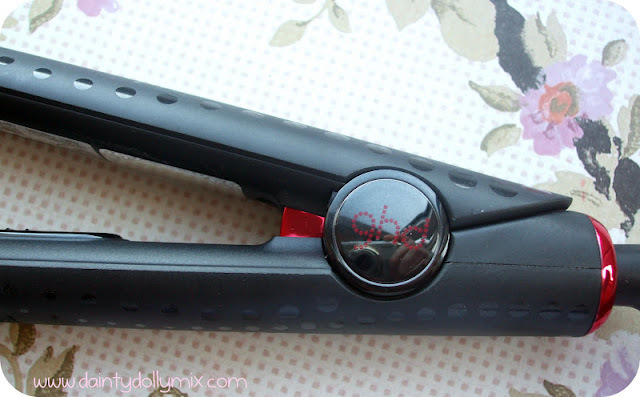 As i have quite long and thick hair these do take a little longer to straighten my hair than the wider plates but the benefit of these is that you can also use them to create curls, waves and flicks, as well as straighten, are much more travel friendly and can also be used on all hair types. This particular set is limited edition and retails for £149 although i'm sure if you shop around you will be able to find it a little cheaper. 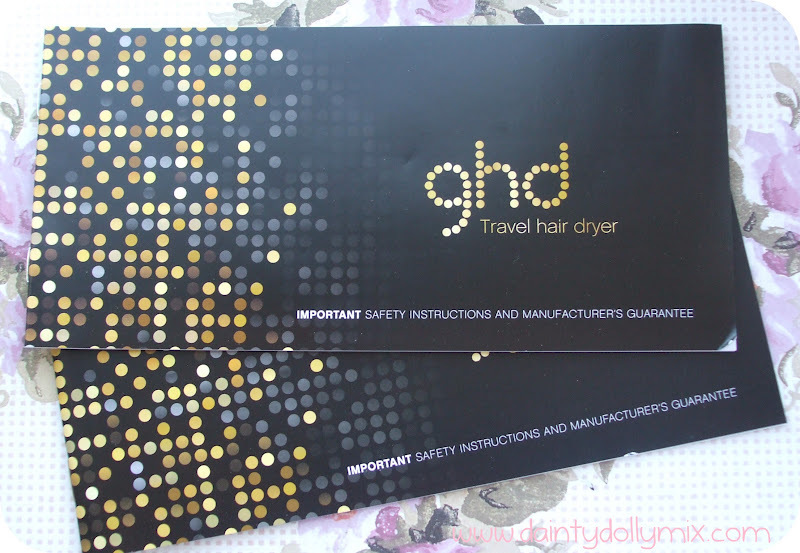 You can buy yourself a set from the official GHD Website Here. What brand of hair stylers do you use? You have a beautiful blog, I never get bored of your posts. I have never straightened my hair purely because I kinda like my "beachy waves" hair but my sister has a pair of GHDs and her hair always looks amazing so they MUST be good! great review! was thinking of getting a ghd straightener. so this has been very helpful. This looks so glam. I can't use straighteners though, well I daren't try these days as my hair would probably just burn!! I hated these new straighteners. They are just not hot enough now for thick hair. I sent mine back as they are not worth the money. The quality has definitely gown downhill since the company was sold. They should have left them at 220 degrees. 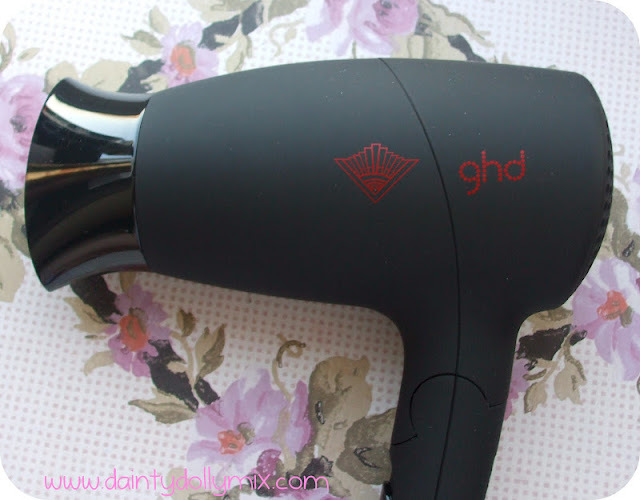 I love GHDs but I can't justify that amount of money. I just tend to get whatever's fairly decent and on offer at the wholesalers lol! They do look stunning though and such a pretty place to store them. Great review, I've used GHD's for the last 8/9 years. Love them, on my second pair, gave my first to my Mum, they're still going, I have a pair from the Gold series, so much better, want to try out the hair dryers some day! Love the case these come in, much better than the midnight collection they did. 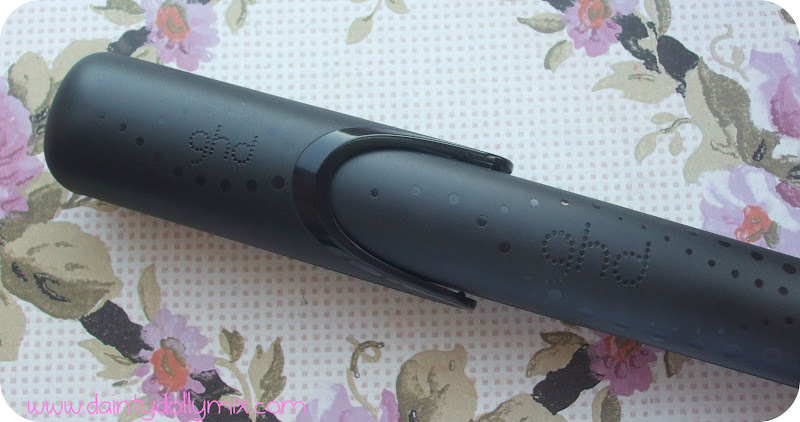 I've never tried GHDs as ive never been able to justify the price. I would like to take the plunge but the price makes me nervous! would have loved to got them but recently just invested into cloud nine straightners!